Number two on the list is Go to Comic Con. Now I’ve been to lots of conventions over the past couple of years but when I wrote this down I was talking about the Daddy of them all, the Big Kahuna, the Numero Uno, the behemoth that is – San Diego Comic Con. This year, I was determined to get there. I could feel it in my bones, this would be the year when I would join tens of thousands of my fellow geeks at the event of the year. There was nothing stopping me! Except for a ticket…….and flights to San Diego…..and accommodation…and money…. But I don’t give up that easily! So while all the geeky goodness is going on in San Diego, I’m stuck here in Glasgow. This is 2015, a little detail like geography shouldn’t stand in the way. 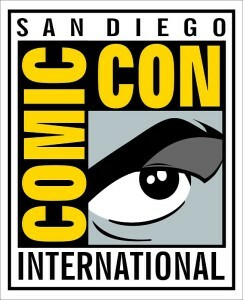 So, from Thursday to Sunday I’ll be experiencing all the best that SDCC has to offer via the wonder of the internet. And if you are like me, stuck at home while all the good stuff is happening over the pond, feel free to join in! I’ll be tweeting using the hashtag #SDCCfrommycouch and I’ll be posting links to cool stuff on my Facebook page. I won’t be able to say that it’s crossed off the list but I’m sure going to have a good time! Yay for comic con! I’ve always wanted to go to one. They are great fun but SDCC is definitely the Daddy of them all. I’ll get there ONE DAY! !